Tim Wroblewski worked full-time with habitat INFO from February 2012 to February 2015 as a GIS Analyst and has since been working with us on an ad hoc basis. Initially he was involved in a project to map risk and vulnerability (R&V) to climate change in the Zambezi basin (CKDN). This was followed by a similar study in the Limpopo basin (RESILIM; USAID) and Mozambique (PPCR: The World Bank). He presented the output summary maps and methodology of the RESILM project to the Botswana government in Maun (April 2014). Taking a slightly different approach to R&V mapping, he was involved in the development of a pilot spatial tool for identifying areas in the Horn of Africa (ILRI/The World Bank/USAID) where investment to build resilience to climate change would have the greatest impact. This involved the production of a data catalog for the region containing in excess of 450 datasets. His work has also involved the development of a Raptor atlas for the African continent (ARDB) with work being carried out on mobile and web-based GIS solutions as well as the database. He has worked on two phases of a project for BirdLife International developing a web tool for use by the wind industry to identify the sensitivity of migratory soaring birds to wind turbines. He was responsible for project management, web-serving of data and the development of models to combine multiple sources and types of data into one dataset indicating sensitivity. Recently he has worked on a World Bank project to develop rural access indicators for multiple countries around the World. This has involved the construction of a friction layer and corresponding travel time layer to assess the proportion of rural communities who are beyond specific travel times to their nearest market place. UK projects have included assessing biodiversity for local authorities, assessing the visual impacts of wind turbines and aiding the development of mobile and web-based GIS solutions for a nearby local records centre and their recorders. 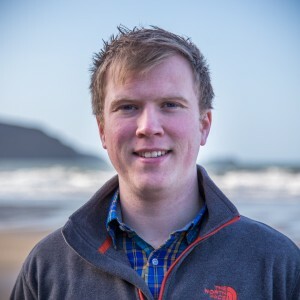 Prior to working at habitat INFO Tim studied for a BSc (Hons) in Geography at Aberystwyth University where he used GIS to identify glacial landscapes in South-West Wales for his final year dissertation. He furthered his studies at Swansea University with a MRes degree in Environmental Management. His thesis here provided a conclusive and independent tidal stream energy resource assessment off the coast of Pembrokeshire making extensive use of GIS throughout. These results were published at the European Wave and Tidal Energy Conference in Southampton, 2011. Fairley, I., Neill, S., Wroblewski, T., Willis, M., & Masters, I. (2011). Potential Array Sites for Tidal Stream Electricity Generation off the Pembrokeshire Coast. EWTEC 2011. Southampton.